Video: OWN: Signs You're a Supersurvivor. Video: OWN- How to Forgive Like a Supersurvivor. Video: MSNBC - How to move forward after trauma. David B. Feldman, PhD, is considered to be among the top experts on hope in the field of psychology. A tenured professor of counseling psychology at Santa Clara University, he has given hundreds of lectures for audiences in sectors including medicine, education, business, and technology. Feldman has lectured in places as diverse as Oxford University, Buenos Aires, Montreal, and across the United States. He has spoken for Google, Facebook, Kaiser Permanente, and the Department of Veterans Affairs, among many others. He is an excellent speaker for health and wellness organizations, corporations, and schools and universities. 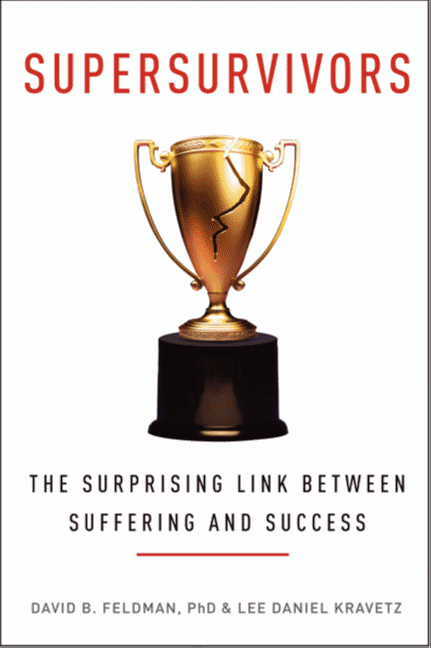 Feldman has authored three books, including Supersurvivors: The Surprising Link Between Suffering & Success (HarperWave), which was co-authored with Lee Daniel Kravetz, Public Speaking for Psychologists: A Lighthearted Guide to Research Presentations, Job Talks, and Other Opportunities to Embarrass Yourself; as well as The End-of-Life Handbook: A Compassionate Guide to Connecting with and Caring for a Dying Loved One. Beginning where resilience ends, in Supersurvivors, Feldman and Kravetz examine the science and stories behind cases where trauma survivors don’t just grow, they revolutionize their lives. In so doing, they transform the meaning of their personal tragedies by making them the basis for dramatic and long-term life change, often discovering hidden parts of themselves and contributing to the world in ways they never thought possible. Throughout Supersurvivors, the authors draw from the latest scientific findings as well as their experience as clinicians. Supersurvivors resets our thinking about how we deal with our own challenges, no matter how big or small. Feldman speaks about a variety of topics, which can be tailored to fit the needs of many different types of organizations. He often presents as a “dynamic duo” with his co-author, Kravetz, though he also is available to present solo. The Bouncing Forward presentation explores personal strength through the stories of extraordinary people, and outlines the principles that researchers and clinicians have identified as keys to remarkable resilience. The informative and inspiring stories of supersurvivors illustrate what research shows are the ways to prepare ourselves not only to bounce back after adversity, but actually to “bounce forward”. There is a lot that can be learned from their journeys, no matter who we are or what we have endured. The Leading for Resilience presentation explores the paradoxical relationship between suffering and success in the context of organizational leadership. It focuses on how leaders and managers can build organizations that benefit from suffering through nurturing cultural shifts in how people conceptualize adversity. In this talk, audiences discover how setbacks and even failure can ultimately lead to achievement; how giving up can be good, opening up new and innovative possibilities; and why success never can nor should be measured by money and status alone. One of the central principles that allows people to “bounce forward” after adversity and setbacks is something called Grounded Hope, a forward-looking outlook rooted in a tough, realistic, and bravely honest understanding of one’s life situation. Such toughness of spirit allows people to ask and productively answer the question, “How am I going to build a better life starting from where I am?”. The Teaching Toughness presentation delves into the exciting science of Hope Therapy, a set of tools (which Feldman played a key role in developing) that have been shown to increase persistence, goal achievement, academic performance, personal calling, and even sense of life meaning. In this presentation, audiences learn methods that educators and students can use to increase achievement through fostering this tough yet forward-looking attitude toward life. Feldman’s research has been published in some of the best journals in the field of psychology, as well as in popular publications and books. 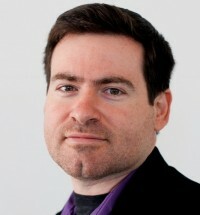 He has appeared in such magazines as SELF, People, U.S. News & World Report, Inside Higher Ed, Harvard Business Review, Business Insider, and Fast Company, has had his work featured on WebMD.com and About.com, has been interviewed for national television and radio, and has written for Psychology Today and The Huffington Post. He resides in the San Francisco Bay Area. "Just surviving suffering is a form of success. But these people have done more than survive, and their stories are worth your time. One day you may need what they have." "Supersurvivors might well be a how-to manual on taking adversity and turning it into an advantage. As I read it, I kept thinking: I wish I'd had this book ten years ago!" "If you read Feldman and Kravetz, you will come away inspired and more attuned to the factors that influence resilience—including religious faith, the ability to forgive, and awareness of mortality." "[one of] the most valuable and interesting business books released this year"